Often I consult with sellers considering getting their home ready for sale and they specifically say they don’t want to list it over the holiday season. They have various reasons for this. It’s a busy time of year with lots of parties and events to attend and host, presents to buy, cookies to bake and the list goes on. I on the other hand think selling your home during this time of year is a fabulous opportunity to showcase your beautiful home. Holiday decorations, when done properly, can accent features in your home or even help to distract from areas that might otherwise not look great. I would keep your 10-foot blow up Santa in the closet, but tasteful front door wreaths and classic white lights can make the difference in a buyer seeing your house as their new home. Buying a home has a lot to do with emotion and you can absolutely tap into buyer emotion at this time of year. 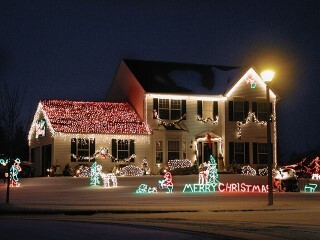 Most buyers do not have the creative vision to see what the house would look like decorated for the holidays. When they view it during this time, it is easy for a buyer to picture their loved ones enjoying the holiday season there. Buyers often speculate about the best place to place their Christmas tree during showings. This would take all the guess work out of it when they walked in to see your perfectly decorated tree and the stockings hung. During the last few months of the year we also see an increase in buyer activity as folks are anxious to purchase a home before the end of the year. If you’re thinking of selling, I would absolutely recommend consulting a local realtor to discuss your options. Happy Holidays from The Turnbull Team at The Maine Real Estate Network. We are proud to serve the Windham and surrounding areas for the past 9 years.